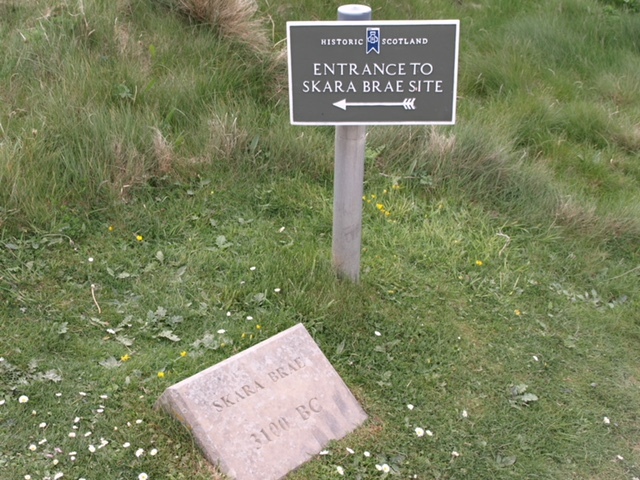 The Pretani Education Programme – The Early Houses of the Pretani at Skara Brae. 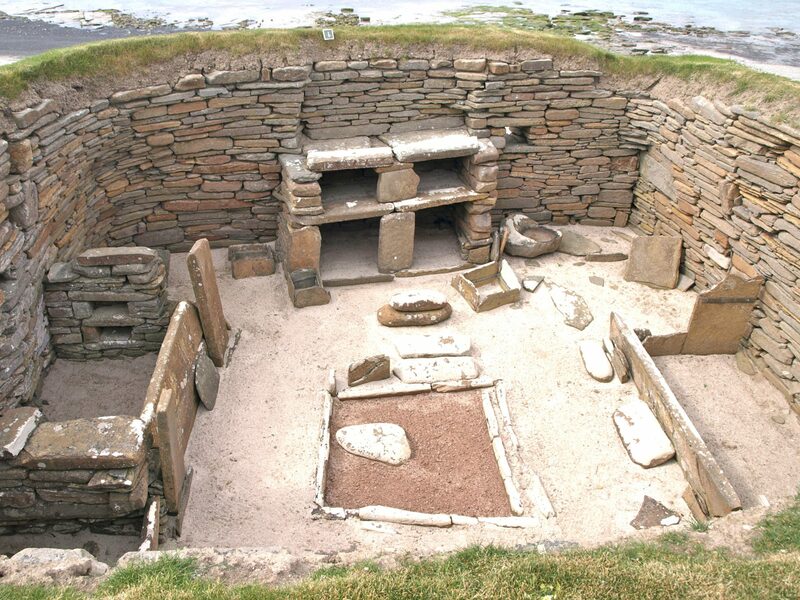 Skara Brae in the Orkneys dates to 3,100 BC, at the same period of Newgrange. It was built in two main phases. 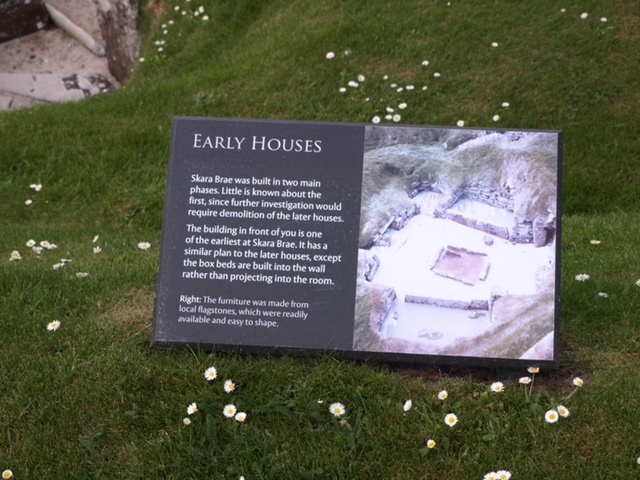 Little is known about the first, as further excavation would require the demolition of the later houses. Our Pretani researcher visits the site regularly. 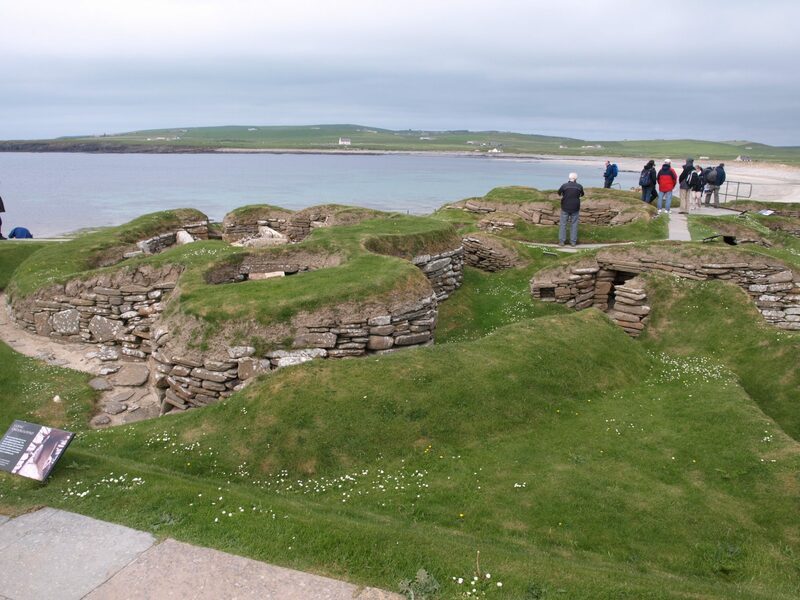 His photograph shows one of the earliest buildings of Skara Brae. It has a similar plan to the later houses, except the box beds are built into the wall, rather than projecting into the room. The furniture was made of local flagstones, which were readily available and easy to shape.